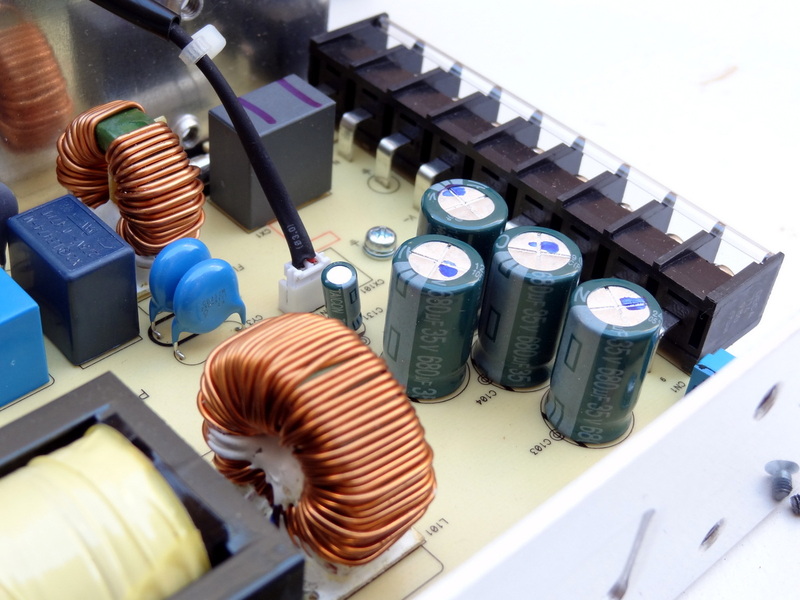 This is the power supply I will use to power the motors of the Shapeoko. 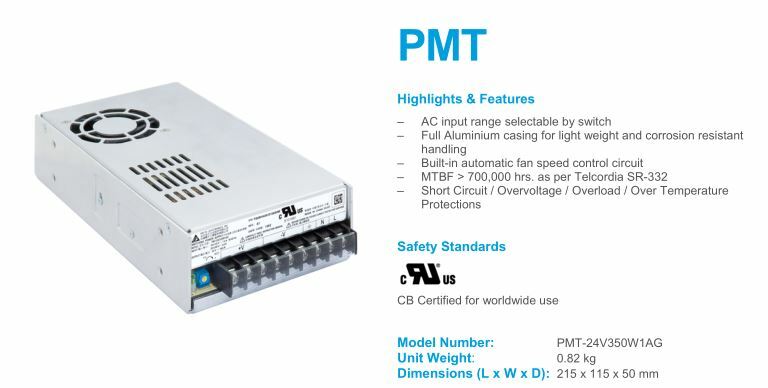 The new PMT series of panel mount power supplies is the latest offering from one of the world’s largest power supply manufacturers and solution providers: Delta. 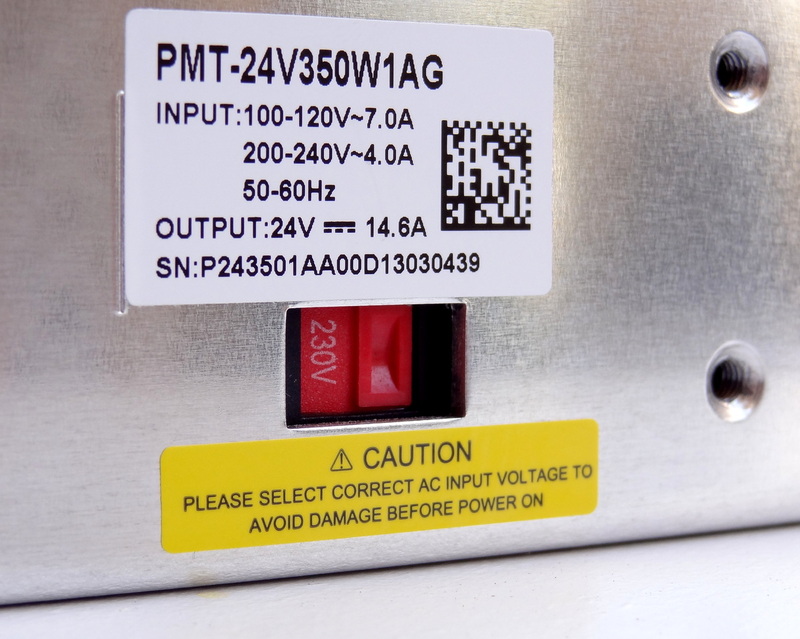 The PMT-24V350W1AG offers a nominal output voltage of24V with a wide operating temperature range from -10°C to + 70°C and can withstand shock and vibration. 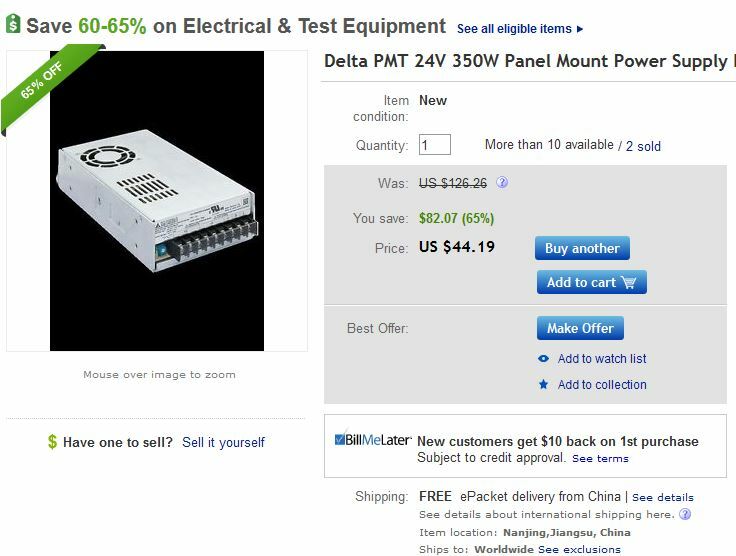 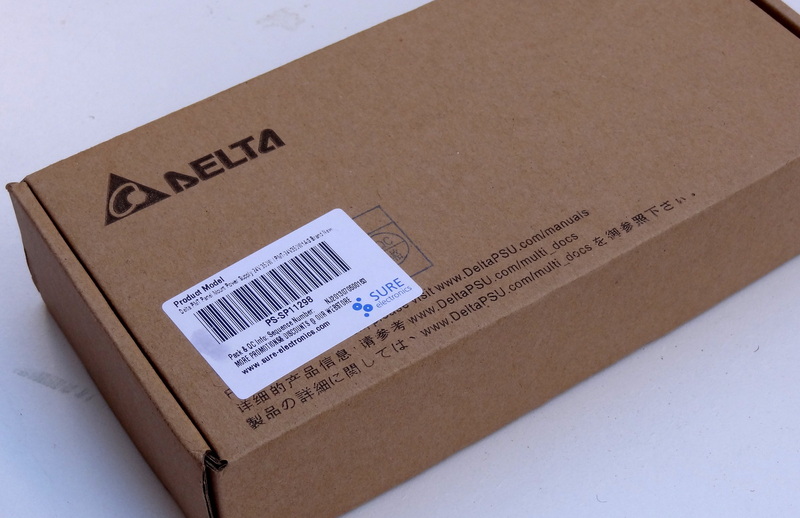 In addition to features like over-voltage and overload protections, Delta’s PMT series of panel mount power supplies is unlike many other brands in the same price level. 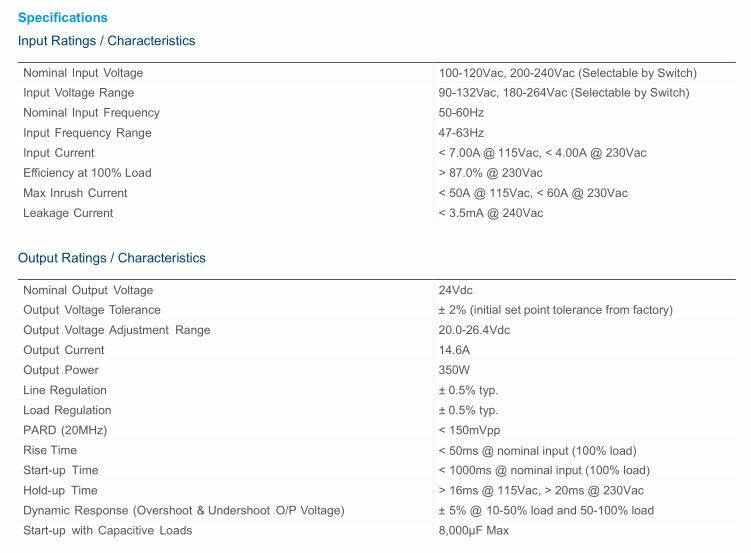 The PMT series is designed for cost competitive markets without compromising the quality of the components and product specifications. 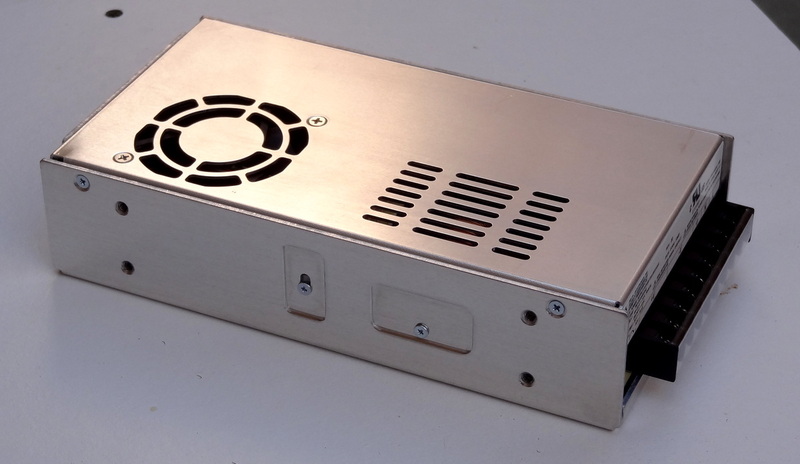 The series of products uses 105°C AL cap for added reliability, has an expected life time of 10 years and will have no output power de-rating from 90Vac to 264Vac. 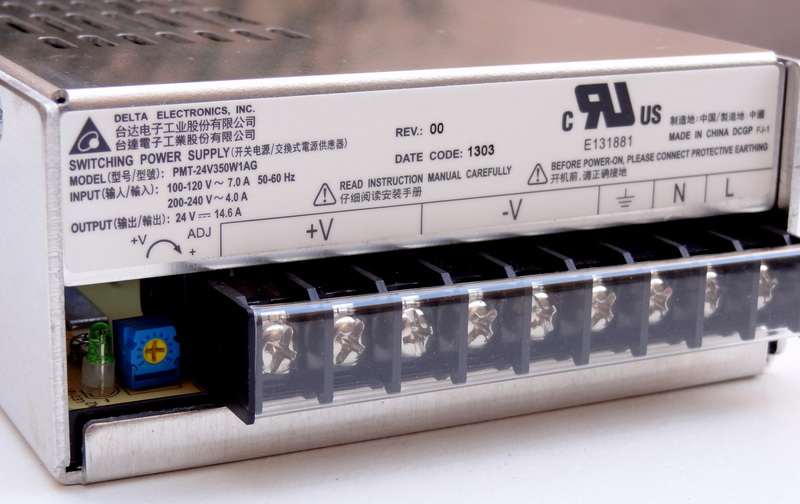 It is a single DC voltage (24V nominal) supply with plenty of connecting points. 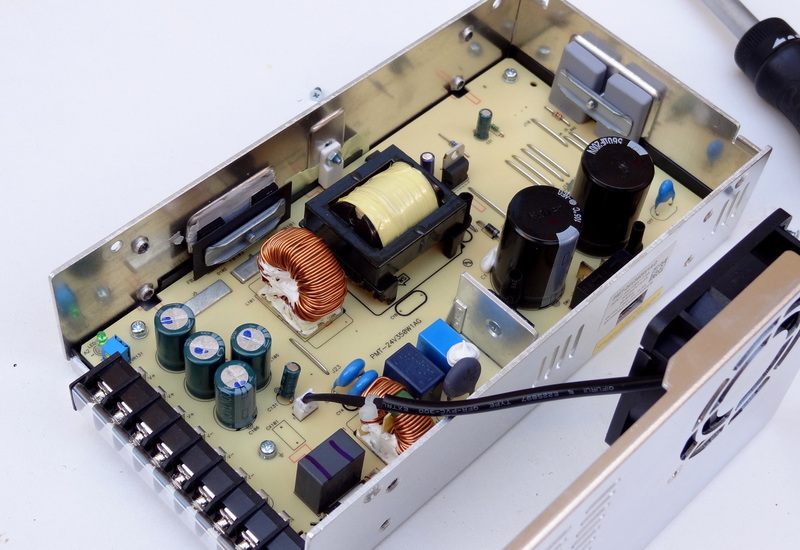 You can also adjust the output voltage with the trim pot from 20V to 26.4V.